This cushion cut diamond engagement ring is elegant and easy to wear. 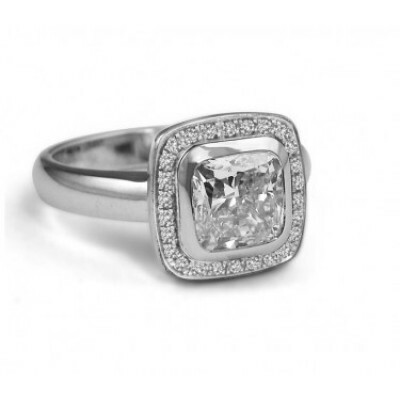 The diamond halo around the centre stone adds sparkle and depth to the design. This ring can be made with any shape centre diamond, sapphire or other gemstone, and the design is perfect for someone who wants a timeless, glamorous ring that will stand up to everyday wear.